· Cutting-edge AORUS All-In-One Monoblock for both CPU and PCH area. Innovative design, cutting-edge functionality, state-of-the-art aesthetics, sophisticated thermal design, next generation network connectivity ,Hi-Fi level audio system. 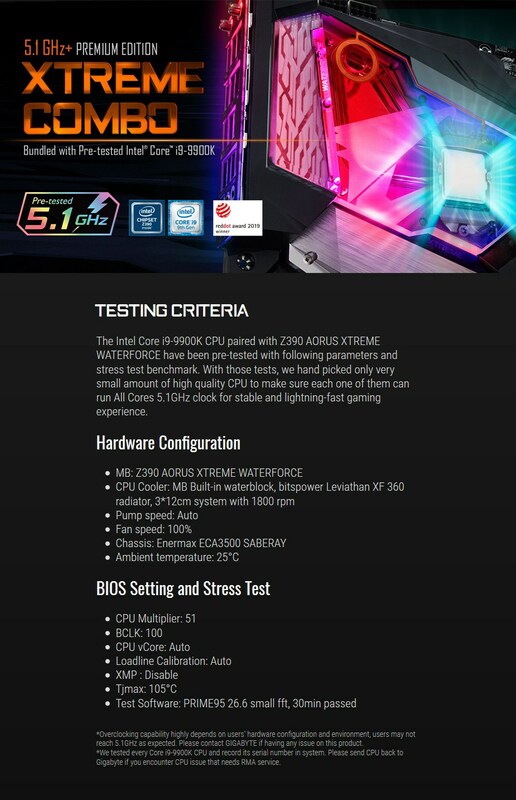 Z390 AORUS XTREME WATERFORCE is the new definition of a flagship motherboard.